"We will examine the memorandum of understanding that the 2 Federations will send us and we will come back to them as soon as possibile. But yes, a joint bid between baseball and softball is a possibility". International Olympic Commitee (IOC) President Jacques Rogge postponed his press conference from 6.30 to 8.30 pm and, in the end, did not have the big news for baseball and softball fans around the world. 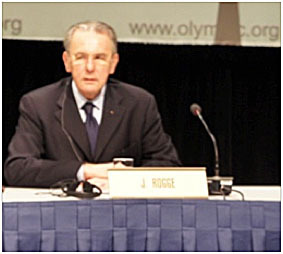 Rogge, who didn't waste many words throughout the press briefing, had anyway something very important, and that could prove to be promising, to say: "We will make changes in the program and we will add one sport to the 2020 Games during the September 2013 session".